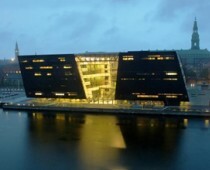 The Black Diamond building in Copenhagen. The Atheist Alliance International (AAI) is an organization founded in 1992 with about 50 member organizations from 15 nations. AAI held its conference this month in Copenhagen, Denmark. The conference was on Gods & Politics, looking at the issue of religion and government and challenges facing non-believers. 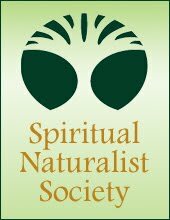 It hosted a wide range of speakers, including Richard Dawkins, James Randi, Dan Barker, PZ Myers, and one of my favorites, author A.C. Grayling who wrote Meditations for the Humanist. We assert the need for a society based on democracy, human rights and the rule of law. History has shown that the most successful societies are the most secular. advanced democracies are consistently the most successful. Articles 19 and 20 of the International Covenant on Civil and Political Rights. Recommendation 1805 (2007) of the Parliamentary Assembly of the Council of Europe. Article 14 of the European Convention on Human Rights and Fundamental Freedoms. Special thanks to Humanists of Houston President Roxie Deaton, who first informed me of this news, through an article at Atheist Ireland . Taking a pass on wisdom?